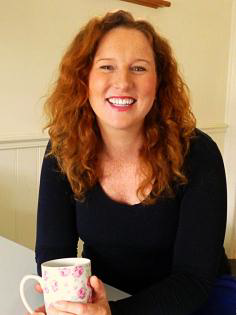 Simon & Schuster Australia today announced the acquisition of Reluctantly Charmed by the debut Irish-Australian novelist Ellie O’Neill. Larissa Edwards, Head of Publishing at Simon & Schuster Australia bought ANZ rights from Jacinta di Mase Management. Reluctantly Charmed has also been sold to Scribner, an imprint of Simon & Schuster in North America, acquired by Whitney Frick from Catherine Drayton at Inkwell Management. Reluctantly Charmed, the first book in the two-book deal, is the story of Kate McDaid, all-round cynic of matters of the heart and home, who discovers she’s about to inherit a mysterious bequest from a long-dead relative and self-proclaimed witch. What happens next shocks Kate to the core – the ancient magical folklore of olde Ireland has some big surprises in store and it seems all the world wants to know. A witty, enchanting page-turner, Reluctantly Charmed is about what happens when life in the fast lane collides with the legacy of life, love and its possibilities. “I was impressed and delighted by the optimism and creativity of the S&S team and I’m looking forward to working with them to ensure the success of Ellie’s O’Neill’s debut,” said di Mase. “We knew we had something special in hands when we read Ellie’s book,” said Larissa Edwards. Simon & Schuster Australia will publish Reluctantly Charmed in late 2014.